The Jackson J-250 one piece bow rake has a forged steel head. Handle is made of seal coated white ash for strength and durability. 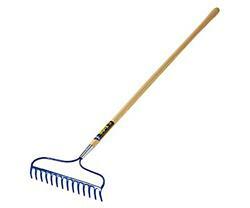 The rake comes with 14 tines on a 14 in. chrome steel ferrule for additional strength.